When we think of Thanksgiving, we tend to only think of a honey-baked ham or a roasted turkey that’s been cooking for hours. But what if you’re vegan or have vegan family members coming over for Thanksgiving dinner? What do you feed the hungry masses when meat and dairy aren’t options? Check out these awesome vegan food ideas for your Thanksgiving dinner below. Instead of stuffing your turkey with delicious breaded stuffing, feel free to make dressing to be served on the side. This way it won’t be shoved into meat, and everyone can enjoy it. Also, if you’re like a lot of Americans who use chicken stock for their dressings, go ahead and use vegetable stock. It’s just as yummy, and that way you’re side dish is completely meat free. Sure tofurkey isn’t anywhere close to real turkey, but vegans will love the effort you put into making sure they weren’t just stuck with all side dishes. Nothing goes better with a Thanksgiving meal than green bean casserole, which is made of green beans, Cream of Mushroom Soup, and French fried onions. Make sure you get a mushroom soup that is made without dairy, and you’ll have something everyone can devour. If you’re not a big fan of just canned cranberry (and who is, really? 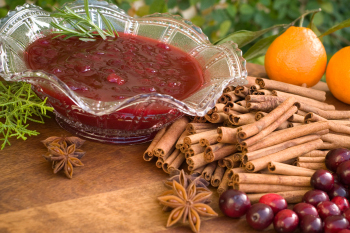 ), whip up a fruity relish that offers all the same cranberry taste without the processed flavors. Don’t exclude your vegan loved one from enjoying all the treats. Look for ways to make your pumpkin pies and sweet potato casseroles without throwing in all the cream and butter. There are so many dairy substitutes that you can easily use instead, such as soy milk and vegan butter spread. Not everything has to be strictly traditional Thanksgiving side dishes. Go for an autumnal theme and cook up some yummy squash side dishes. Spaghetti squash is exceptional delish in the fall, or go for a lentil stuffing instead of a traditional one. Just make sure you don’t force your vegan family member to eat leftover side dishes while everyone else gets to enjoy a feast It’s incredibly easy to incorporate vegan substitutions into traditional recipes for the meal and make sure everyone leaves full and happy. Everyone will be gobbling up your eats with ease. 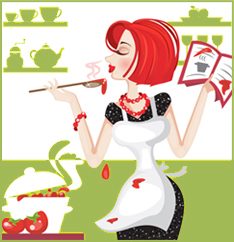 About the Author: Karyn Shankle enjoys preparing dishes for all members of her family, regardless of their dietary needs.